When Shane Coleman and his nephew Sam move into town, it's the biggest event to happen in as long as anyone can remember. Itâs quite remarkable for anyone to move into Goshen rather than out, but when itâs discovered that Sam is 17, it requires some serious burning of the phone lines. All the teen girls are thrilled to have a new hottie in townâall except Niahm. Sam Coleman represents a threat to her perfect way of life. Bennett lives a most unglamorous life in the beautiful state of Utah. She is the author of several YA books in many subgenres. She's the mom of two daughters, two sons, two daughters-in-law, and a son-in-law not to mention her three adorable grandbabies. She loves gooey cookies, dark chocolate, and cheesy popcorn. She hates housework and cooking, and has no plans to become a domestic goddess. Her favorite pastime--other than writing--is riding her Harley. 1. When did you start writing, and was there a specific event or person who influenced you to become an author? Absolutely. Iâve talked about him before. My 9th and 10th grade English teacher, Steven Bickmore, is one of the biggest influences on my love of writing. Each day weâd come into class and be assigned a topic to write on for 10 minutes before moving on to the dayâs lesson. It was the thing I looked forward to more than anything, those 10 minutes of pure creative flow. 2. Are you currently working on a project, and if so, can you tell us anything about it? Iâm working on two, actually. 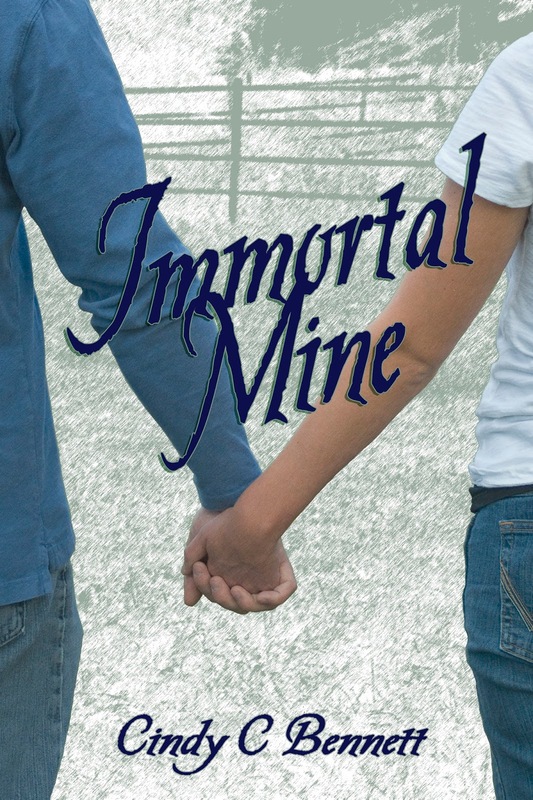 One is the sequel to Immortal Mine, tentatively titled Immortal Yours. Iâm also working on a new project that as yet is untitled. Itâs about two best friends, one of whom is in love with the other, when tragedy strikes, completely changing their lives. Itâs about them finding their way in their new reality, and how life can unexpectedly change in a blink, which isnât always a bad thing. âIâm six-three,â he says. âHow tall are you?â I glance up at him, and quickly away, but not before I see the grin and teasing glint in his eyes. âAbout a foot shorter,â I say. âFine, exactly a foot, okay?â I know I sound sullen, but I still havenât decided whether I should be nice to him or notâespecially when Iâm this confused about him. Iâve never been confused about a boy before. Itâs kind of embarrassing to admit, but Iâve never even kissed a boy before. âShould I call you shorty, or shrimp?â he laughs. I glare at his chest. âShould I call you lanky or Lurch?â I shoot back. Yeah, I know. Lame. But he only laughs more. Then he slips his hand from my shoulder and holds it toward me.